Lumics is again redefining the benchmark and paving the way for customers to simplify design and manufacturing of the most innovative diode laser based devices. 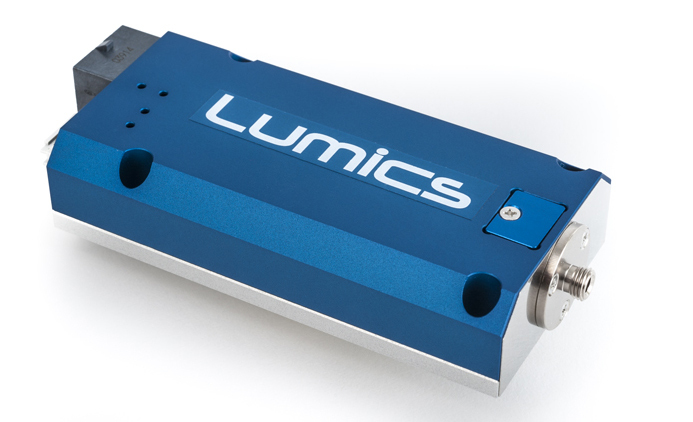 Launched during LASER World of Photonics 2015 in Munich, the brand new LuOcean™ Mini 4 is the latest addition to Lumics’ most successful LuOcean™ series of high power fiber coupled diode laser modules. The new improved model now offers power levels up to 70W. Available wavelengths range from 793 – 1470nm. Additionally, also 1940nm is now available for the first time worldwide in such an ultra-compact design offering powers up to 7W ex fiber at this wavelength. Other new features include a selectable electro-optical configuration (low current/high voltage, or high current/low voltage), a variety of pilot lasers to choose from, plus the possibility to have up to 3 independently controllable wavelengths in one module.As with all models from the LuOcean™ series, customers can freely select amongst a wide range of additional features. Most models are also available with two-fold for redundancy purposes. The built-in single emitters are produced in-house and are carefully burn-in tested to ensure class-leading performance and ultra-long life time. The LuOcean™ Mini 4 is ideal for applications in medical & life science, sensing, pumping, and soft material welding & processing. Come and discover the complete LuOcean™ diode laser portfolio at LASER Munich, Hall A3, Booth 228.